I’m a game designer living in Sunnyvale California. I’ve been designing board games full time for nearly two years now. Prior to that, I was a user experience designer for a number Silicon Valley companies. 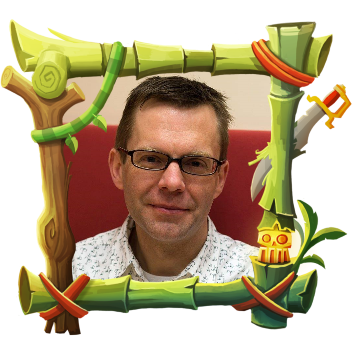 I’m a father of two girls and enjoy designing games to play with my wife and kids. I don’t have any one favorite game. I was really taken with Avalon Hill’s Civilization when I was a teenager though. Playing that really pulled me into the hobby. I’m also a big fan of many of Reiner Knizia’s games. I respect them for their simplicity, depth, and balance. 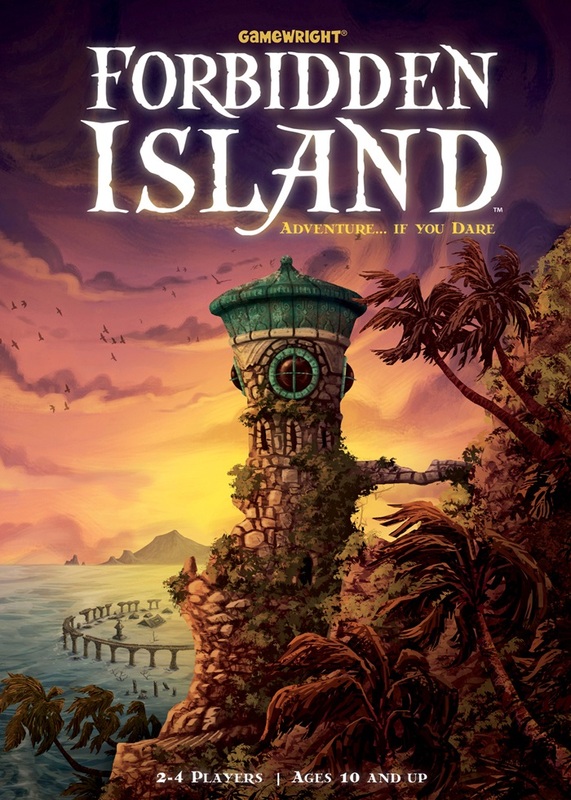 Depending on their players’ ages, I’d reach for Forbidden Island or Pandemic: The Cure for first-timers so I can introduce them to cooperative games. I also enjoy bringing out Knit Wit and Codenames in more social situations because they both scale well and don’t take long to set up or play. I’m not sure this was my best, but my most memorable experience was playing SPI’s War of the Ring with my dad when I was a kid. We played all day; I never got out of my pajamas, and we barely bothered to eat. After what must have been eight or ten hours of play, the entire game essentially came down to a coin toss. I lost. I didn’t flip the table, but I do remember making a bit of a fuss over it. I really want to show people a good time (or have a good time) depending on whether I’m designing or playing. That means the game should be easy to pick up and get into – without a lot of fuss – and then engage the players. It’s hard for me to say why. It’s like a physical need. I’ve been designing games since I was a kid and get a lot of joy from it. I also like the way you can bring just about any interest to it: mathematics, psychology, history, science, product design, visual design, interface design, creative writing, world building, technical writing, illustration – you name it – you can apply it to game design. 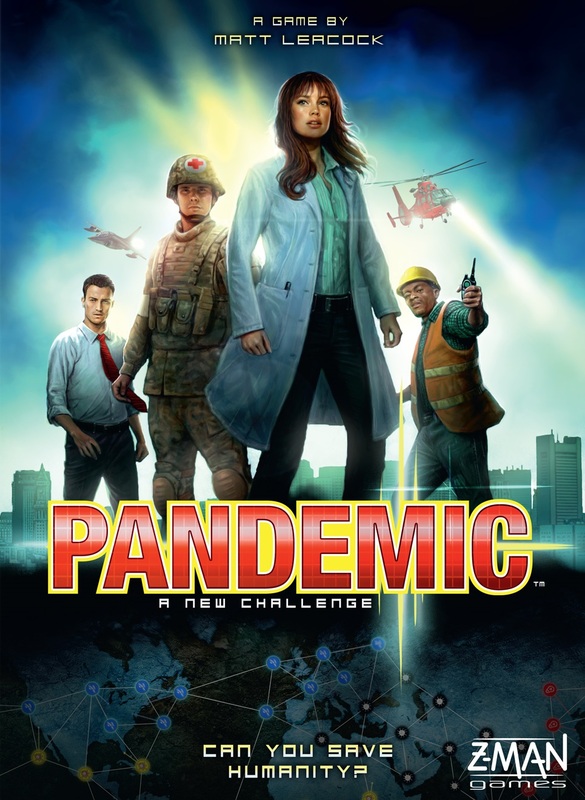 I’m most proud of Pandemic. It provides such powerful beats of emotion and has introduced so many new people to the hobby. I like the way it brings people together around the table and gets them talking and features heroes solving their problems with science instead of violence. The most important part for me is that I get excited about the core idea behind the game. If the center of it is golden, I can stay energized through the long marathon of design, development, production, and support. It’s also the hardest part of the design process for me to articulate and replicate. I generally start with some sort of idea for a mechanism, but need to explain it to myself in terms of theme or story. If I don’t, it doesn’t hold much interest for me. I’m not a big fan of abstract games. So, theme and mechanisms generally come in pairs for me. The mechanisms are more important in the early stages. Later, the theme can often prove to be a powerful force, helping to shape the parameters of the mechanisms. The physical manifestation of the components is the third leg of the stool. Since I’m designing a physical product, it’s really important to get the industrial and visual design of the components right. All over. I worry about trying to find inspiration from other games sometimes. I think it’s really easy to make games that are mash-ups of existing mechanisms that are tied to trite story tropes. Each time I start out, I try to stretch a bit and find inspiration from unlikely sources. Sometimes it’s a book that I’ve read, but more often it’s from goofing around with novel components or asking myself “what if” questions. Bonus question: What do you think the future holds for legacy style games? I think there’s a lot to explore with the legacy format. Designers will likely need to unpack it a bit: there are a lot of different aspects all bundled together in Pandemic Legacy and Risk Legacy, for example. Permanent changes to the game state, hidden components that are gradually revealed, and a multi-game narrative arc are just a few that I could name. They’re time consuming to design and expensive to develop and produce, so I don’t think we’ll see a flood of them on the market, but there’s plenty of room for innovation in the design space, so I anticipate other designers will want to take a crack at the format. Bonus question: Are you working on more legacy games, and can you tell us a little about them? Yes! Rob and I are currently working on Pandemic Legacy: Season 2. I can tell you that the game will be a self-contained, standalone experience (you won’t need to have played Pandemic Legacy: Season 1 before). We’re having a tremendous amount of fun designing it together.